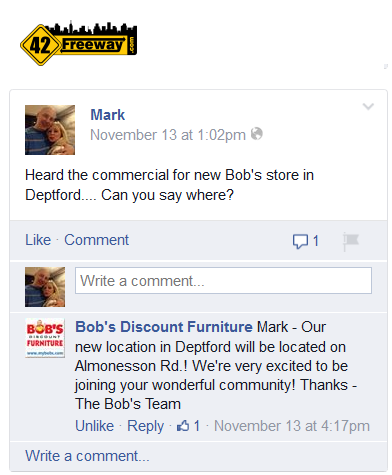 Continuing its amazing 2014, Deptford scores another win with Bob’s Discount Furniture coming to Almonesson Rd. First heard about it earlier in the week when an FB group member mentioned hearing a radio commercial for it. They snuck in so fast, they are already doing job advertisements. 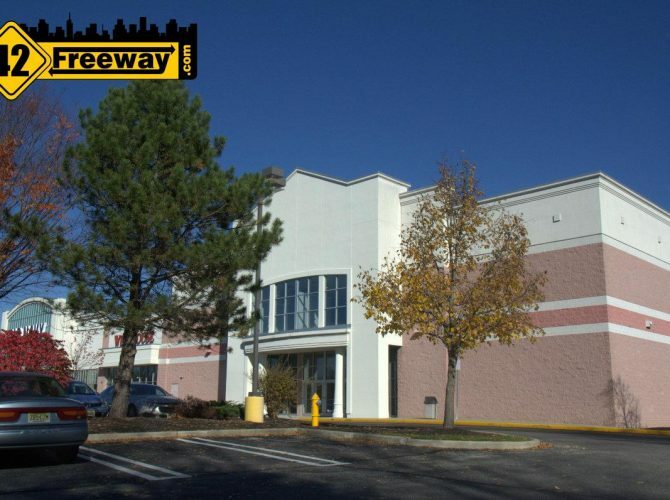 A little research has confirmed they are coming to Almonesson Rd, and we believe it to be in the Barnes and Noble center, where Home Goods and Ulta just opened… with Bob’s filling up the space at the end where the Sears Outlet was located. 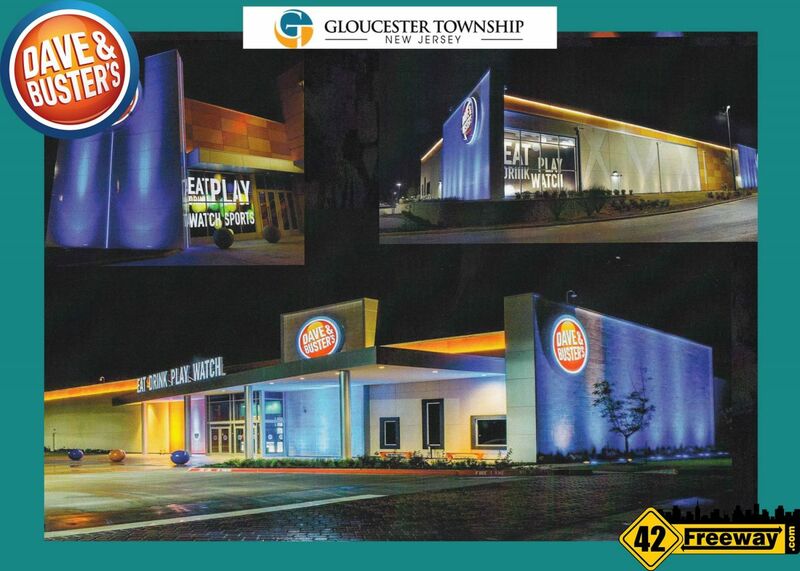 The space looks ready to go with minimal updates, so that could explain the advertisements looking for employees. If you aren’t familiar with Bob’s Discount Furniture… well their name pretty much describes the business. Economically priced furniture typically kept in stock for low prices and fast delivery. The difference with Bob’s is that while other competitors may have 3 or 4 locations, Bob’s has over 50!!! They also offer store comforts such as free ice cream and are charitable in the community. 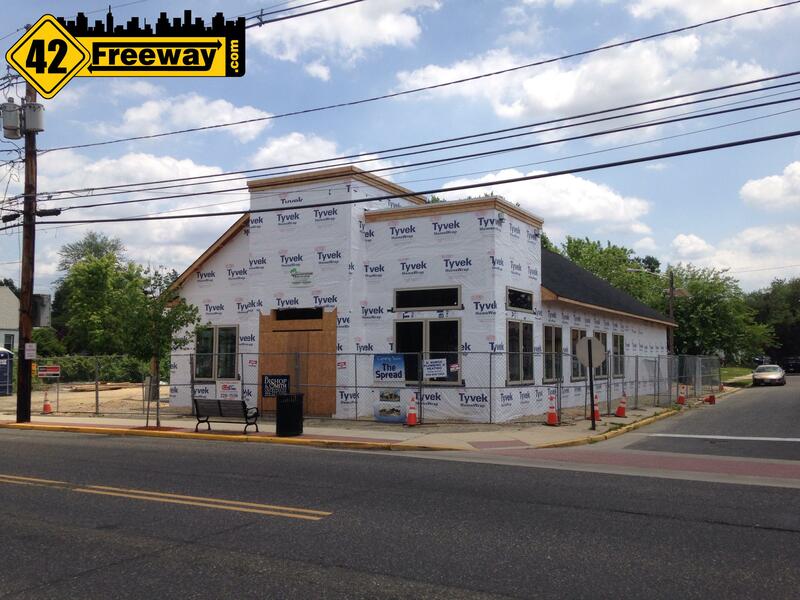 The closest location to us right now is the recently opened Cherry Hill Location. They were recently purchased (WSJ) by investment firm Bain’s Capital, who has a plan to grow the number of stores and sales. The Almonesson area around the mall is really seeing a resurgance, with the openings of Home Goods, Ulta, Burlington Store in progress, not to mention the Christmas Tree Shops and others around the corner. Is it where sears use to be in Deptford? I just moved into a new house and brought my couch from the one in Delaware. Would love yo get a recliner for my husband for Valentine’s Day. yes! 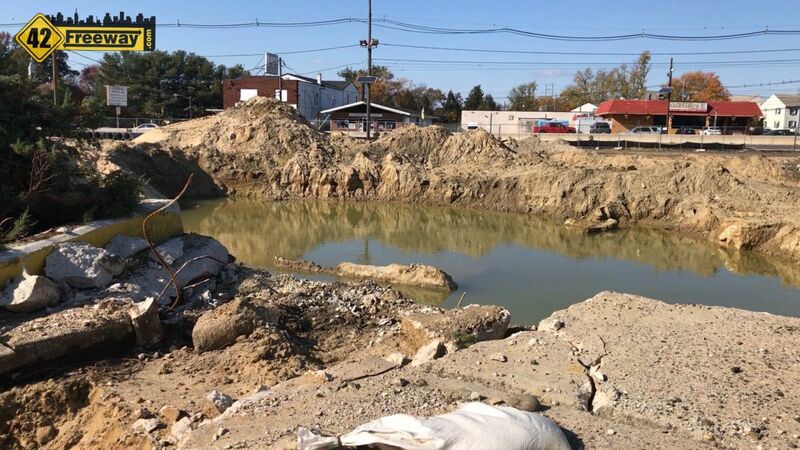 Exactly where Sears Outlet was located. Good luck! Sorry for the delay in replying… yes thats exactly where it is. But you’ve probably already figured that out!